Apple stores across the US are selling out of iPhones , as unconfirmed reports suggest mobile operator AT&T have activated over 1 million iPhones since Friday's launch. Apple's retail locator list was today showing that iPhones were unavailable in all but a handful of its stores across the US. Neither Apple or AT&T have revealed any official figures for iPhone sales. 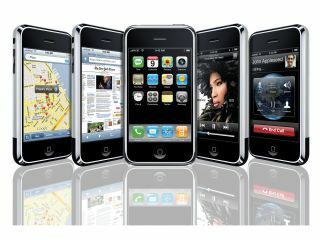 But on Monday a Goldman Sachs analyst estimated opening weekend sales of the iPhone at around 700,000 units. iPhone availability in Apple stores has fallen steadily since launch, while AT&T stores sold out of iPhones over the weekend. A rumour that a leaked AT&T memo had claimed more than 1 million activations since Friday's launch has not been confirmed. Although Apple was unable to confirm to Tech.co.uk if an announcement about landmark sales figures was imminent, speculation is growing that one will come today. Apple has a track record of marking such milestones - last month Apple issued a release marking the one millionth download of Safari for Windows Beta.